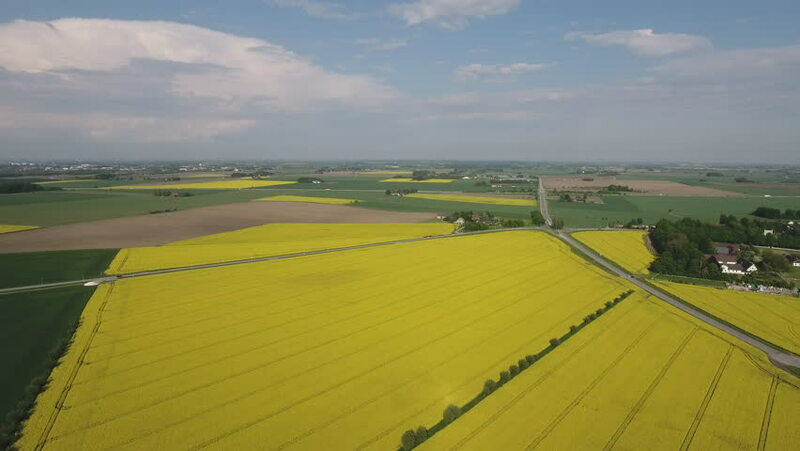 Aerial view descending over rapeseed field with road and cars in distance, Skane Sweden. 4k00:30Flying around sown green fields and trees alley. Snow-capped mountains on background. Blue sky. Aerial view. hd00:22Aerial shot of fields with various types of agriculture. California farming in beautiful West coast countryside. Napa Valley wine country.